made by Merivale shares an alternative the expected Christmas lamb roast – their braised lamb shoulder with prunes and saltbush. 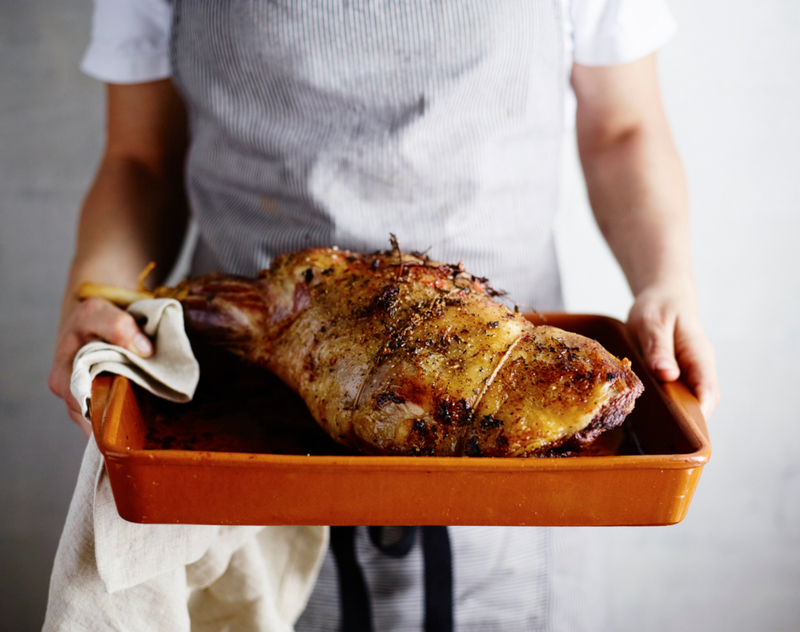 So yum you’ll switch the traditional lamb roast for something a little different this Christmas. Season the lamb shoulder generously with salt and cracked black pepper. Sear the lamb in a hot pan with olive oil on every side until golden brown. Slice onion into thin strips and sauté them in olive oil until soft. Then add chopped garlic cloves, rosemary and thyme. Sauté until soft. Pour in the brown lamb stock and bring it to boil. Set the seared lamb shoulder in a suitable braising pot and pour the hot lamb stock over it. The shoulder should be covered with liquid by 3/4. Cover the tray with a lid or tin foil. Braise the lamb shoulder at 120 degrees for 9 hours or until tender. Cook the prunes with the sugar and balsamic vinegar for about 15 minutes until sugar is dissolved and the taste is a balance of sweet and sour. Pick the saltbush. Blanch half of it in boiling water for a few seconds. Refresh immediately in salted ice water. Fry the other half of the saltbush in oil until crispy. Once the lamb shoulder is tender take it out of the liquid and let it rest wrapped in tin foil near the stove. Strain the braising liquid through a sieve and let it reduce by half. Plate two tablespoons of the prune purée in your serving dish and sit the braised lamb shoulder on top. Dollop more prune purée on top of the lamb shoulder and pour in 3 generous ladles of the reduced lamb stock over the lamb. Serve with the blanched and fried saltbush on top.